As indie publishing flourishes, many, many myths form around this new booming area of publishing. USA Today bestselling author and major indie blogger Dean Wesley Smith takes a cut at killing some of the myths before they can take root. From the myth that indie writers can’t get books into bookstores (they can) to the idea that indie publishing must be easy (it is and it isn’t), Dean knocks ten myths down one after another and might just save you years of wasted time. 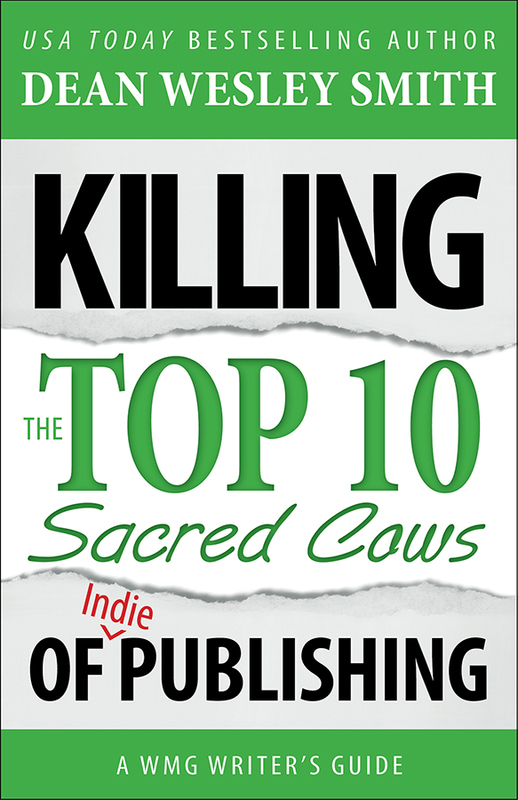 Author of the acclaimed Killing the Top Ten Sacred Cows of Publishing, this companion WMG Writer’s Guide for indie writers and publishers will become a necessity for your reference shelf.